There are so many things that separate Silicon Valley Comic Con from other Comic Cons. From the emphasis on technology and science to the location in the heart of Silicon Valley. But what stands out the most to me is how empowering this event is for women. Women in Silicon Valley are leaders. It's in our nature here to be innovative and creative. With the theme "What Does it Mean to be Human? ", this year's Silicon Valley Comic Con will take the discussion of life and AI to a whole new level. Which brings me to the number one reason SVCC is the top Con for women. 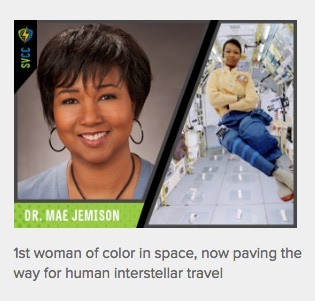 With guests such as Dr. Mae Jemison in attendance, young girls will actually be able to meet and hear a female African American astronaut speak about her mission, her medical technology companies and vision for the future. I think there is a pre-conceived notion that to be a female cosplayer you have to be in your 20s and under 100 lbs. If there is one thing I learned at SVCC 2.0 it was that women of all shapes, sizes, backgrounds and abilities cosplay. They do it with confidence and they do it in an environment that is welcoming. If you've ever wanted to cosplay but have been too shy, now is your chance. Don't hold back. What is so cool about being around your tribe is feeling comfortable and safe enough to geek out over things other people just don't understand. That's how I feel about meeting Jane Metcalfe. The co-founder and president of Wired Ventures, Inc., Jane is someone I really admire. I remember picking up my first copy of WIRED and thinking - this is what I want to do. All of this. 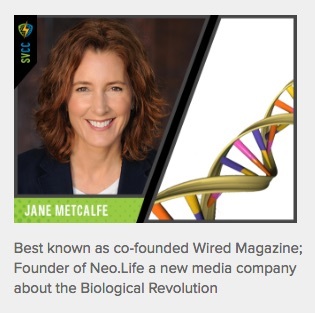 Jane is currently the CEO and Editor in Chief of NEO.LIFE, a new media company that tracks advances in human biology made possible by computer science and engineering. Legit. Since the event is here in Silicon Valley women can use this opportunity to meet guests such as Nicole Lombardo of Google. Nicole leads Business Development for Google’s Project Sunroof team, among other things. Women like Nicole are the backbone of Silicon Valley. Bring your business cards and be prepared to network with top people in the tech industry. So your other female friends aren't comic book geeks or Con fans and you're embarrassed to go to Comic Con alone. Nope. Stop that right now. 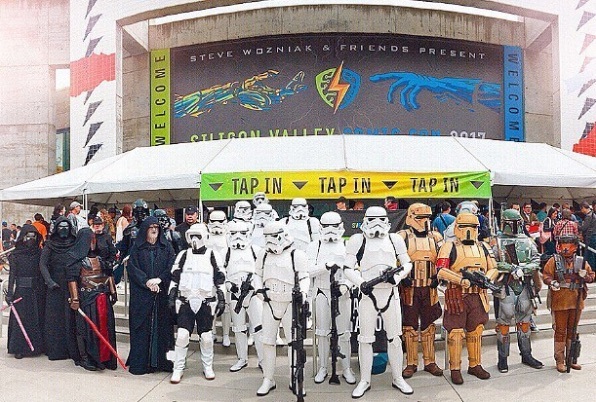 SVCC is where you are going to find your tribe. R2 Builders Club, 501st Legion, Rebel Legion Endor Base and other fan groups will be on hand throughout the event. Don't be shy - say hi to someone. Make a new friend. Find a better tribe. I hope to see you all at Silicon Valley Comic Con April 6-8, 2018 at the San Jose Convention Center.